We investigate the coronal imaging capabilities of the Solar UltraViolet Imager (SUVI) on board the Geostationary Operational Environmental Satellite-R series spacecraft. Nominally Sun-pointed, SUVI provides solar images in six extreme ultraviolet (EUV) wavelengths. On-orbit data indicated that SUVI had sufficient dynamic range and sensitivity to image the corona to the largest heights above the Sun to date while simultaneously imaging the Sun. We undertook a campaign to investigate the existence of the EUV signal well beyond the nominal Sun-centered imaging area of the solar EUV imagers. We off-pointed the SUVI line of sight by almost one imaging area around the Sun. 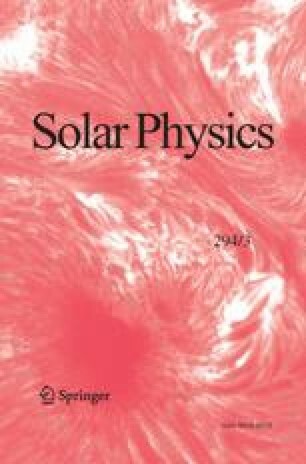 We present the details of the campaign we conducted when the solar cycle was at near the minimum and some results that confirm that EUV emission is present to beyond three solar radii. The online version of this article ( https://doi.org/10.1007/s11207-019-1411-0 ) contains supplementary material, which is available to authorized users. The authors sincerely thank the GOES-R Flight Project for the test campaign, and gratefully acknowledge the assistance of the Lockheed Martin (LM), Palo Alto, CA, SUVI team in the campaign and the analysis. Special thanks to Margaret Shaw, Lawrence Shing, and Ralph Seguin of LM, and Calvin Nwachuku of the GOES-R Mission Operations Support Team for their assistance in this effort.